I’m not normally one to bug people. When I saw Nathan Fletcher surfing Salt Creek this morning, I paddled over to the least crowded peak I could find and intended to leave him alone. But I got to thinking about that Teahupoo wave that recently got him the covers of Transworld Surf and Surfer Magazine, who called it the heaviest one ever ridden. I had seen the mag in the grocery store, but hadn’t read the story, or seen this interview. I knew nothing more than that photo. So I got curious partly to hear what it was like, and partly to see how this guy would describe it. He took a few seconds to respond, like he had to sift through some troubling imprints to access the memory. He paused, looked up at me. “Both…” he said, then trailed off, as if the memory had taken him somewhere he could only go alone. I sat there looking around at the glassy peaks bowling around us, and other surfers scratching into heaving two footers. “Surprised it was so brutal?” I asked. He truly thought it was over. Someone yelled, “Hey bro!” from the other side of the peak to the north of us, and hurried over, almost paddling over the nose of Nathan’s board, high-fiving him as he tried to finish talking to me, asking if he was heading to the North Shore soon. Nathan finished his sentence, said hi to the guy, and as a set was approaching we paddled off toward different bumps in the peaky, bending beach break morning. I got the sickest barrel. It was like shoulder high. I was so in there. Seriously. I even caught air on the kick out. It was epic. I think a bodyboarder hooted. There was a guy on the beach with a huge lens. 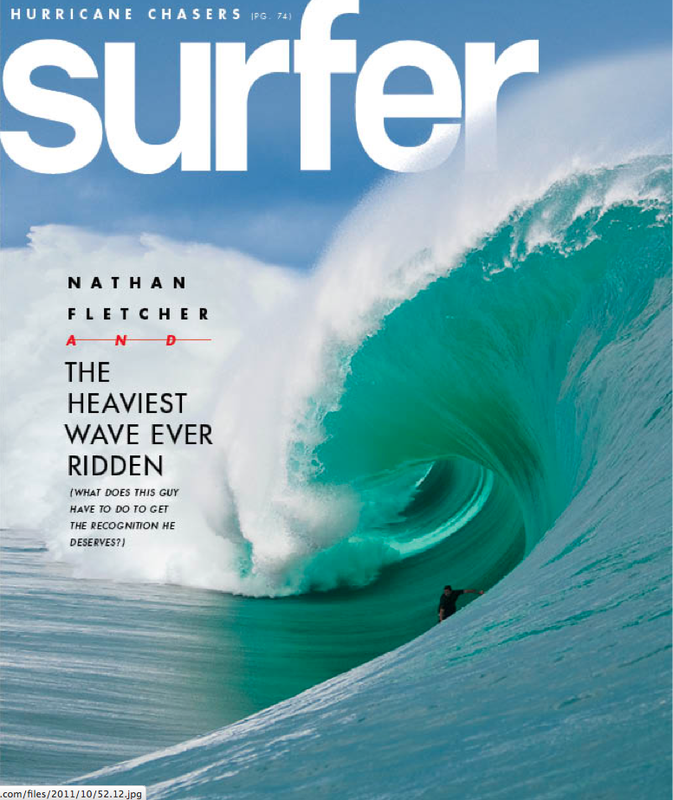 I’m pretty sure it’s going to be in the next issue of Surfer. And here’s proof I know what it’s like to eat it in the tube on a wave only slightly less threatening than Fletcher’s.